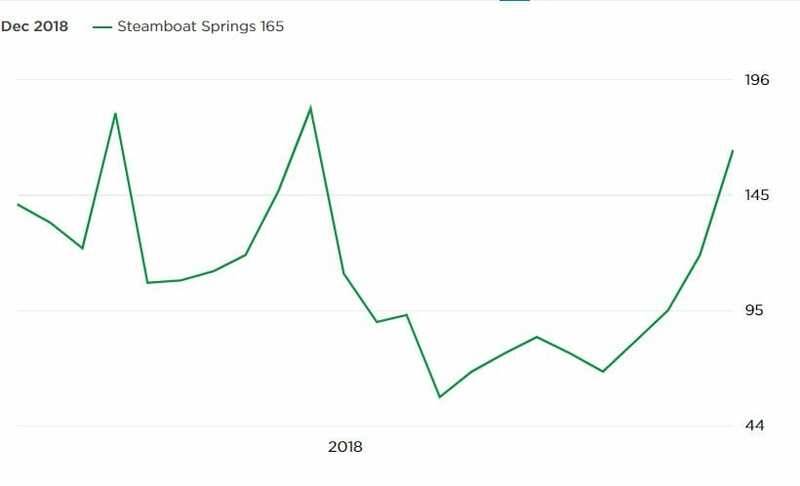 Home values in Steamboat Springs have gone up 9.2% over the past year and it is estimated they will continue to rise 2.7% over the next year. 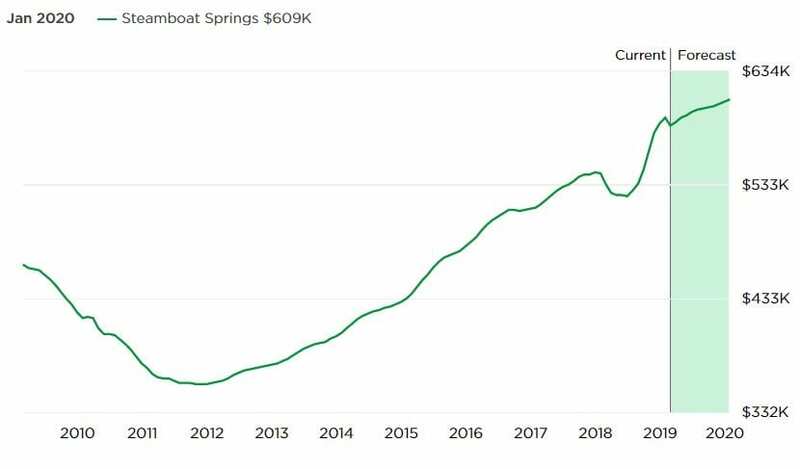 U.S. home values have been falling by more than 20% nationally from their peak in 2007, many homeowners are now underwater on their mortgages, meaning they owe more than their home is worth. 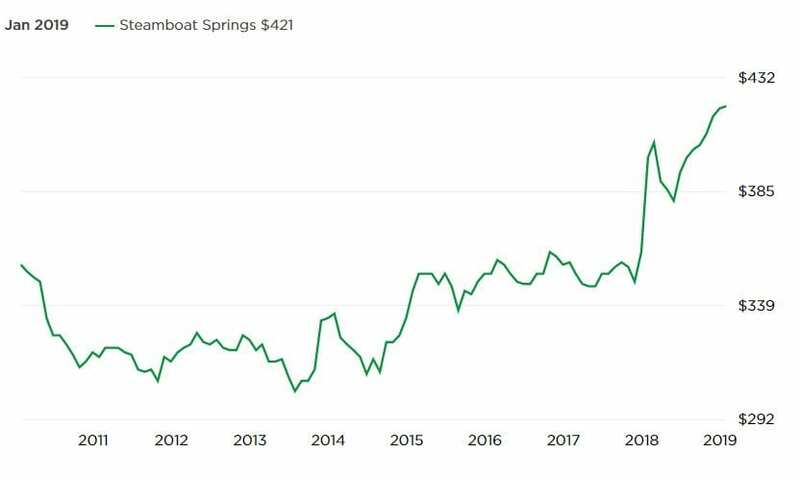 The percent of Steamboat Springs homeowners underwater on their mortgage is 2.1%. The national average is estimated at 23% according to CoreLogic. According to Realtor.com, the national median price per square foot for a home is $123. But that varies widely based on where you live as well as other factors. For example, on the low end, you can pay $24 per square foot in Detroit; on the high end, in San Francisco, you could pay as much as $810. Buying or Selling a House in Steamboat Springs?